Author: Ravel, Edeet Set In . . . Description: From Edeet Ravel, internationally acclaimed author of the Tel Aviv Trilogy, comes a deeply personal novel about an unexpected friendship. Maya and Rosie meet one day at the local dry cleaner's and their instant friendship blossoms into an inseparable bond. Both are children of holocaust survivors, but where Maya refuses to become entangled in the past, Rosie is inexorably drawn into her parents' haunted world. 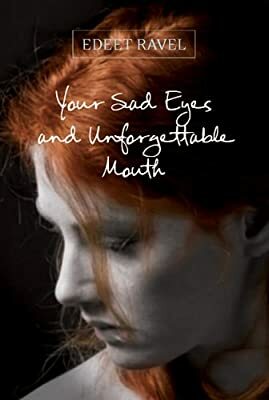 Your Sad Eyes and Unforgettable Mouth is a deeply resonant novel about the strength and nature of friendship, the weight of the secrets we keep, and whether or not we are ever able to truly live beyond the past.